One thing you could never say about the man born Seymour Steinbigle is that he’s led a dull life. And his new autobiography ‘Siren Song’ is anything but a dull book. Born in a down-at-heel corner of Brooklyn, he did his time at Billboard, Tin Pan Alley, CBGB and Studio 54 and either discovered or nurtured Madonna, Talking Heads, k.d. lang (who calls him ‘the man with the golden ears’), Ramones, Depeche Mode, Erasure, Ice-T, Soft Cell, Squeeze, The Smiths, The Cult (by now you’ll be gleaning that he’s somewhat of an Anglophile), Lou Reed and Brian Wilson, all via his imprint Sire Records (which he co-founded with Richard Gottehrer). So far, so common Rock Snob knowledge. And there’s no question that ‘Siren Song’ is a great resource for those who want to know about the making of and/or music-biz machinations behind some of the great modern pop/rock albums: Fear Of Music, Like A Virgin (complete with fascinating gossip about Nile Rodgers’ business dealings), My Life In The Bush Of Ghosts, The Queen Is Dead, Ramones, New York. And then there are the fascinating tales of Stein signing Madonna from his hospital bed, visiting Talking Heads’ weird Long Island City loft and stalking Jethro Tull. He also writes superbly about the early ’80s music scene, when electro, hip-hop, Afro-beat, indie, new wave, reggae and post-disco combined to produce arguably the greatest ever pop period. Stein writes powerfully about the AIDS epidemic and the ramifications of being a gay man living a ‘straight’ life in the ’70s and ’80s (he had a wife and two daughters during the period). He superbly explains the timeless appeal of English guitar bands to Americans. The prologue is also a classic, describing what it means to love music and the joys, perils and sacrifices involved (especially if you’re coming from a working-class family) with seeking a career in A&R (artist and repertoire, or, in Stein-speak, people and songs). ‘Siren Songs’ is an unexpected gem and highly recommended. 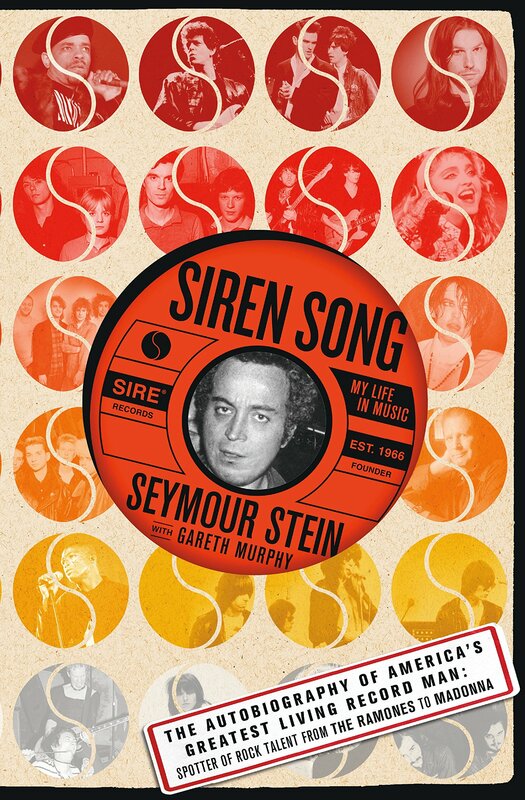 ‘Siren Song’ by Seymour Stein and Gareth Murphy is published by St Martin’s Press.